Take the survey now to let us know how we did! At 7:00 pm on March 12, 2019, Windsor Hackforge will hold its Annual General Meeting (AGM) at The Accelerator at 1501 Howard Ave, Unit 101, Windsor, Ontario. At this meeting, all members deemed to be in good standing (up to date with member dues) as of March 1st, 2019 are welcome to attend. This meeting will cover the current state of Hackforge, our plans for the coming year, as well as presenting our Interest Groups. If you want to work with Hackforge to bring something new to the community, come ready to proposal your ideas! Join us for the first Border City Data event at our new home: a talk about the Megahospital Challenge. The discussion will cover solution design, tech tools and what we learned from the launch and debate around megahospitalchallenge.com. It’s time to get back into the swing of things at the new Hackforge location! Let’s get to know each other a little bit and talk about some cool tech-related stuff. This event is open to the general public, and we enthusiastically invite the rest of our new community at The Accelerator to join us either in the audience or as a speaker. A lightning talk is a 5 to 10-minute talk on a topic of your choice (most likely tech related, but not necessarily!). You can share knowledge, showcase a project, get feedback on new ideas or gush about something that excites you. Slides are optional. You do not need to present a lightning talk to attend! All are welcome as an audience to listen and take in all the content. If you haven’t done a talk before, lightning talks are a great way to get started and practice public speaking. If you’re old hat, a lightning talk is a great opportunity to try out that talk idea you haven’t fully fleshed out yet. 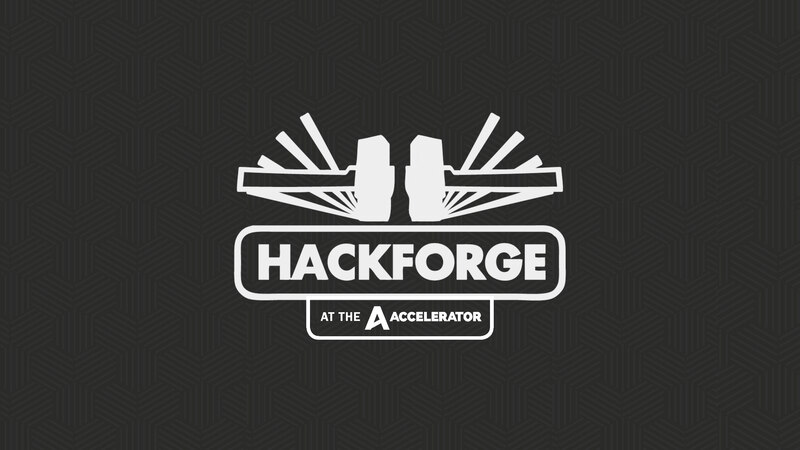 If you’d like to deliver a talk at Hackforge’s Lightning Talks at 7PM on Wednesday March 27, 2019 at The Accelerator (1501 Howard Ave, at Shepherd), sign up below. You may sign up to deliver more than one short talk, but any additional talks after the first are subject to time constraints at the event. Hackforge, Arts Council Windsor & Region and the School of Creative Arts at the University of Windsor invite people of all gender identities to take part in Windsor, Ontario’s Art + Feminism Wikipedia Edit-a-thon. Only 10% of Wikipedia editors identify as women. The Art + Feminism Wikipedia Edit-a-thon is seeking to change that statistic by offering a a do-it-yourself and do-it-with-others research and teaching session for editing and contributing to Wikipedia. Tutorials will be provided for those who are new to the editing process. At 7:00 pm on March 12, 2019, Windsor Hackforge will hold its Annual General Meeting (AGM) at 1501 Howard Ave Unit 101, Windsor, ON. The meeting agenda, and any other required materials, will be distributed to members at least 48 hours prior to the AGM. Hackforge’s main mission is to provide a place where creative minds can come together to share ideas, learn together, find support and make friends. Hackforge is thrilled to announce we are opening our doors at The Accelerator, Windsor’s entrepreneurial ecosystem with co-working space specifically designed to help accelerate the growth of start-ups and emerging businesses, featuring on-site training and mentoring programs in a truly collaborative environment. Our partnership with the Accelerator will allow us access to a hot desk and access to their 3000 sq. ft event space. In return, we will extend our outstanding programming to their community of entrepreneurs and business owners. Please join us on Thursday, February 7 for a launch event to see our new space, network with other Accelerator members and the technology community. Refreshments will be served. Parking: The parking lot is first-come-first-serve. There is also free street parking available. Questions? Please email us at info@hackf.org. In preparation for our move to the Accelerator, one of the things we must do is reduce most of the physical equipment and “stuff” we have accumulated over the years. On Saturday January 19 from 10am-2pm, we will be holding a Moving Sale at Hackforge (255 Ouellette Ave). We will be selling a variety of things including computer parts, electronics, books, video games, consoles, and furniture. Picture it as the Garage Sale of your Dreams! We will have many items as Name your Price and Pay What You Can. The proceeds from this sale will go directly back into the operating expenses of Hackforge and any remaining items will be donated to Computers for Kids, other organizations and charities in Windsor-Essex and the rest will be responsibly recycled. If you are interested in volunteering to help us out with this sale, please contact me. We especially need help determining the market value of some of the computer parts and electronics we own. After a little holiday break, the Project Management Professionals meetup is back! This group is for all professionals from any industry, and business owners to come together and exchange ideas and good practices ​in Project Management, Agile Product Development and Process Improvement, in a fun and relaxed atmosphere. This delectable build tool will compliment any C# developer’s menu. From invoking MSBuild to provisioning Android Emulators or printing savory ASCII art, you can have your cake and build with it too! Feel free to join us afterward at Craftheads for refreshments while talking shop and socializing. Calling all founders, trailblazers and entrepreneurs! Join us for Forge Founders, WEtech Alliance‘s peer2peer networking group, on January 30th from 6:00PM. Forge Founders will be a bi-monthly networking experience for local founders to connect, learn, and share. Our speaker this month is Sarah Folkes, Brand Specialist at Libro Credit Union. She will be leading us with her best practices on how to build your brand as a professional or entrepreneur. This is a great opportunity to network with other new business owners in Windsor-Essex. Light food and refreshments will be served. Come out for an evening of casual conversations with top executives from the Windsor-Essex area. Share a drink with top executives such as Michelle Watters, Director of Stakeholder Relations at TransFormSSO, Randy Diagneau, VP Manufacturing at Aphria, Jacqueline Olivia, Director of HR at FCA, and many more. DevFests are Google sponsored software developer conferences that allow the local software development community to come together to network and learn about the coolest new technology out there. A day full of great talks on some of the latest Google technology out there with great opportunities to network within the local tech community. Breakfast and lunch will be provided as well as a end of day prize raffle of some cool technology. We will be charging a small fee of $10 to help offset the cost of the conference (thanks to our sponsors for helping to cover the rest of the costs :). The Windsor-Essex Mini Maker Faire is a full-blown community festival that brings together science, art, craft, homesteading and engineering plus music, food, workshops, and performance. This family-friendly event showcases the amazing work of all kinds of makers across Windsor-Essex and beyond—anyone who is embracing the DIY or DIT (do-it-together!) spirit and wants to share their accomplishments with an appreciative audience. Exhibits that are interactive or highlight the process of making things are especially desired.